At St Pauls Removals we have an extensive fleet of modern EC4 removal vans, designed to ensure the safe transportation of your items. Reliable, clean and well-maintained our St Paul’s moving vans will always be where they’re meant to be at the right time. With knowledgeable local drivers, your move will be completed in the quickest and safest time possible, meaning that you have more time to settle into your new home or office. So why not call our office on 020 8746 4464 today to see how we can meet your personal or corporate needs. Our moving vans come in a range of sizes, so whether your move is big or small we will have something cost effective to suit you. Our small vans are ideal for those of you who are looking to move a small selection of items into storage, while our large St Paul’s removal vans are more suitable for house of office moves. If you need to complete your office relocation in half the time we can even supply you with more than one vehicle so that you can finalise your move with as little disruption to your business as possible. 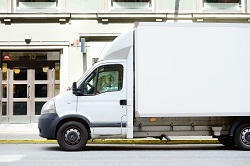 Our moving fleet are also modern and well-maintained helping to ensure that your items are secure at all times. Unlike some companies, our vehicles have a comprehensive service record meaning that they are reliable and always on time. Our removals company also understands that image is key, especially for corporate relocations, so our EC4 moving vans are all clean and presentable. So why not call our professional customer services team on 020 8746 4464 now to see how we can help you with your personal or corporate move. With exceptional staff, our company also ensures that every moving vehicle comes with an experienced driver who knows their way around. Reducing waiting times, our expert drivers not only ensure the safety of your items but also ensure they reach there in record time. If you opt for one of our man and van services, our professional movers will also help you load and unload the van so you have even less to worry about. At St Pauls Removals we believe that our extensive services can help you manage your move in a stress-free way. We understand that hiring a removal van may seem like a cheaper option, but once you have factored in the extra time it may take to complete the move, and the cost of petrol, any potential benefit can disappear. As our packages all come with the use of a driver, you do not have waste time picking up a hire van or driving an unfamiliar vehicle. This can save you both time and money and can help to reduce your stress levels. So if you’re looking for an exceptional local company with an extensive range of services then look no further. Our modern removal vans can be utilised in a number of ways to ensure that you get a flexible package which suits your move. Our experienced drivers will always ensure that they take the best care of your fragile and precious items so that they arrive in your new location in the same condition as when they left you. So don’t delay, call us on 020 8746 4464 today for a cost effective and personal quote. We are confident that you won’t be disappointed with our competitive local offers.